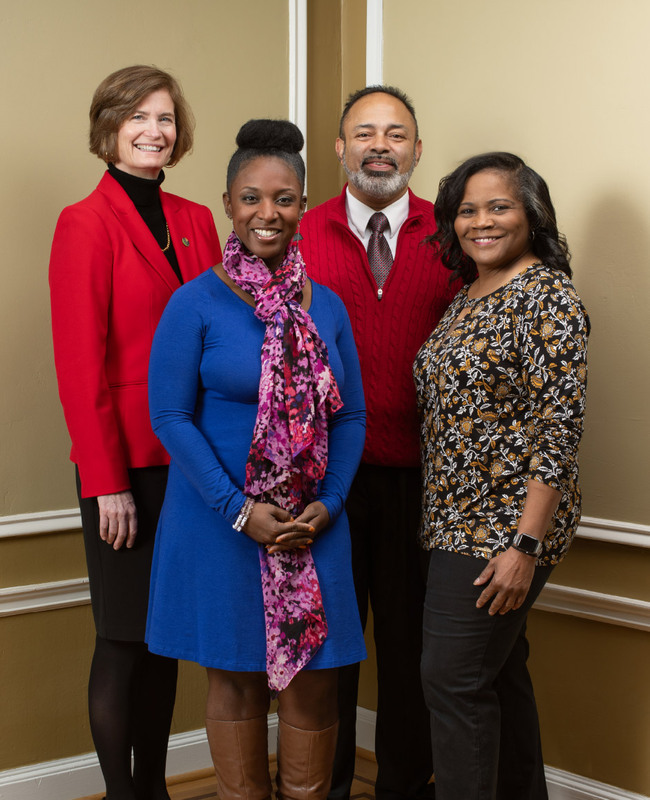 The York County Community Foundation (YCCF) is committed to supporting efforts to foster equity and inclusion through grant making and community leadership. The individuals shown here are just some of the many citizens engaging together to create a vibrant York County. Q: What outcomes do you hope the grants YCCF has made that support equity and inclusion, coupled with discussions about racial justice, will achieve for York County? A: YCCF is devoting more time and resources to building York County’s capacity to understand racism, build bridges and highlight the valuable gifts of our diverse community. YCCF grants to improve educational outcomes and must ensure equitable learning environments. When we seek to expand workforce development training, those training opportunities must be accessible and reduce wage disparities. When we work to create vibrant downtowns and neighborhoods, they must be welcoming and inclusive. Equity means a stronger York County for everyone. Q: How do you think programs such as art can help foster conversations about issues of diversity and how has the YCCF supported these programs? How will your work at the York County History Center advance inclusion? A: I use my art as a tool to acknowledge and recognize communities and bring people together. I do this through community murals, where people are represented in the work and take part in completing the work, and through themed exhibitions that ask questions and generate dialogue around something that is nonthreatening. YCCF has supported my community arts programs by allowing me to design programs that would have maximum impact and be appealing, sustainable and people-oriented. I hope to be able to build awareness of the need to make all history part of the complete record as a standard practice, not as a side note. Q: How can the work of organizations such as the YMCA and initiatives such as the New American Welcome Centers foster efforts for achieving inclusion and equity in the community? A: The YMCA’s New American Welcome Centers (NAWCs) are designed to help immigrants—also referred to as newcomers—fully integrate into American society and prepare receiving communities to be welcoming and inclusive. NAWCs accomplish this through a combination of integration services, collaborations with community leaders and businesses, and strategies to connect and build cross-cultural understanding between immigrants and U.S.-born residents. It is more important than ever to foster an environment that encourages immigrant integration and community cohesion. Q: Your philosophy on racial justice encompasses the values of love, understanding and tolerance for all. How does the work that you do at the YWCA York and the work others in this community are doing in the areas of racial and social justice reflect these values? What do you hope to accomplish with the YCCF’s support?